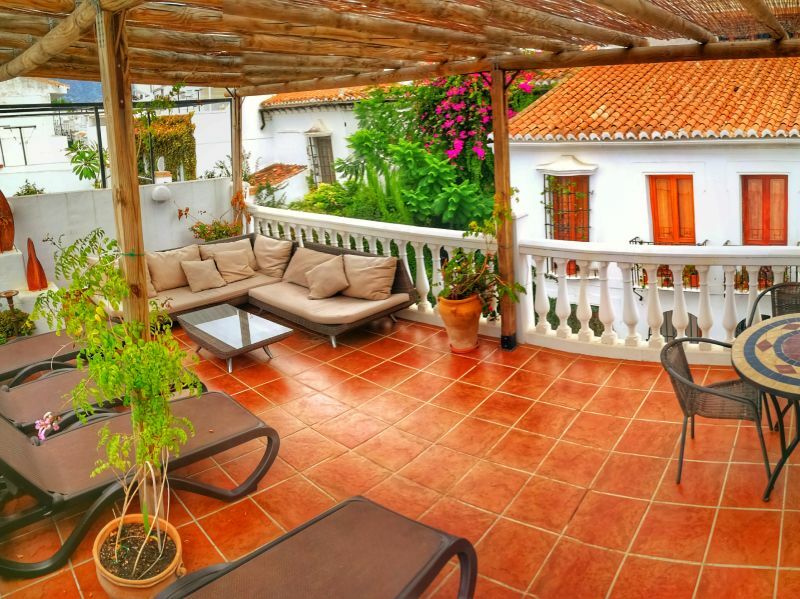 Whether water and sun lover, recreational tourist, hiker, gourmet or culture fan - in our lovingly furnished Andalusian apartments and houses you will feel immediately at ease and comfortable. 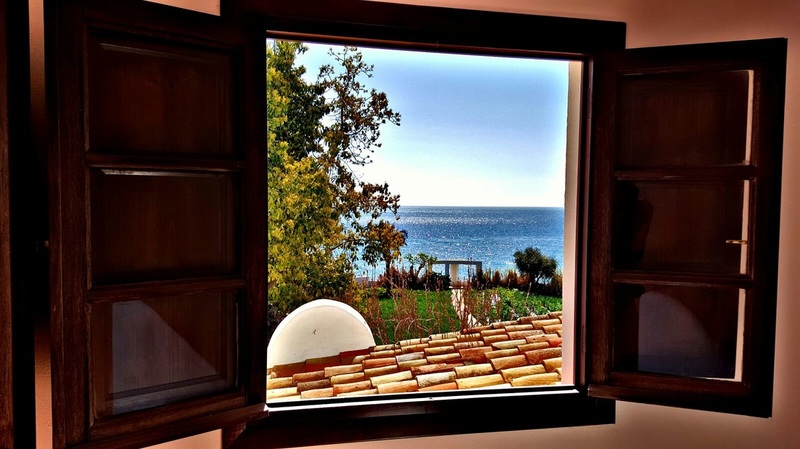 We offer homes with one, two, three, or four bedrooms, some share a pool on a roofterrace with spectacular views over the sea and the mountains, some offer their private pools, others have balconies or terraces in the first line with direct views to the sea. 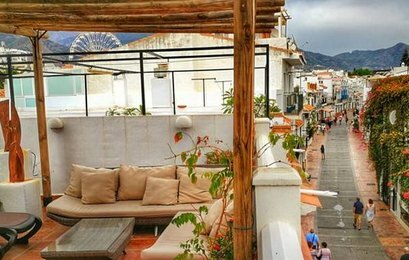 Most are located in Calle Carabeo, the former fishermen's street in the heart of the Old Town of Nerja, others in various parts of Nerja's Old Town around the 'Balcón de Europa'. And finally, one at the 'wild' beach of Playazo. All for a car free, relaxing holiday. 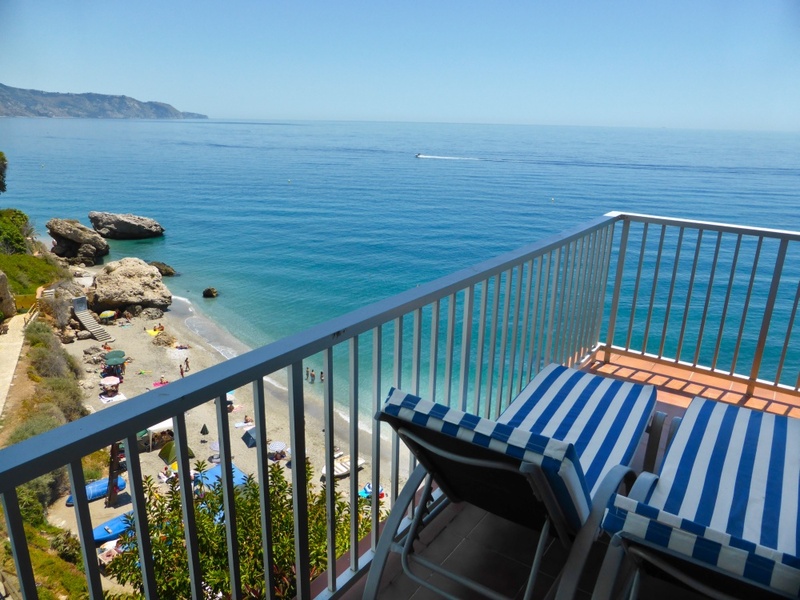 Six apartments in this original Old Town House in Nerja's former fishermen street. 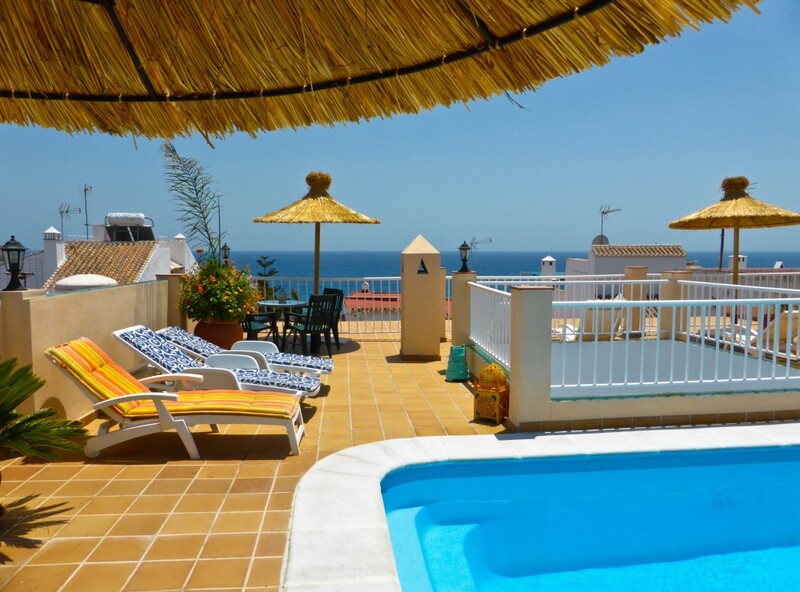 Features a common roof terrace with small pool and fantastic seaview. All apartments with air conditioning and central heating (winter). We offer 3 apartments in this first-line building, with spectacular views of the sea and the Playa Carabeo below. Two or three bedrooms apartments. Modern one-bedroom apartment with private roof terrace. Two historic town houses, each for up to seven guests. Fully air-conditioned. One features a heated Swim-Spa, the other a splash pool. Spacious patios and terraces, all for private use.